As Chinese New Year is approaching, Giant has made reunion dinners extra special by launching its new steamboat bundle Click & Collect service! Now preparing for reunion dinner is no longer a hassle, you don’t have to spend hours to prepare the dishes or having to queue and wait for your seat at a restaurant. You can now enjoy a good meal at the comfort of your own home with your family and friends. You can choose from three bundle options at great value that are suitable for four to eight persons. Each set features an array of hot pot essentials and luxury ingredients such as Iberico and Kurobuta pork, prawn, abalone, scallop, mussels and sea cucumber. 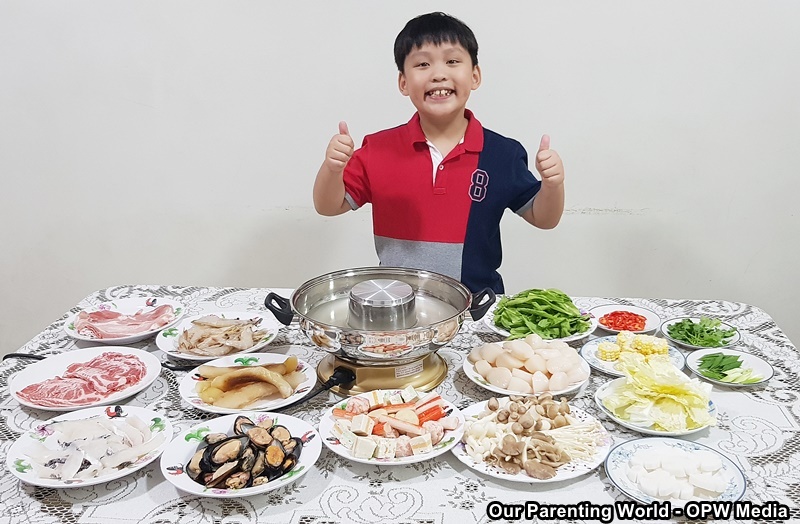 1) Success Steamboat Bundle (4 pax) – $88 (worth $105) – great for small families who want to spend quality time and bond with each other over a delicious hotpot set-up. 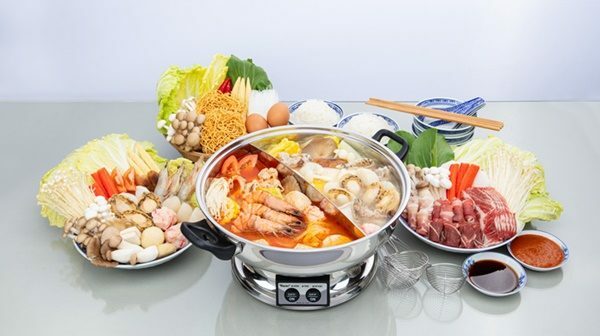 2) Joy Steamboat Bundle (8 pax) – $128 (worth $162) – perfect for large gatherings with all your foodie colleagues and great for savings, so you have more time to gossip, play mahjong and huat! 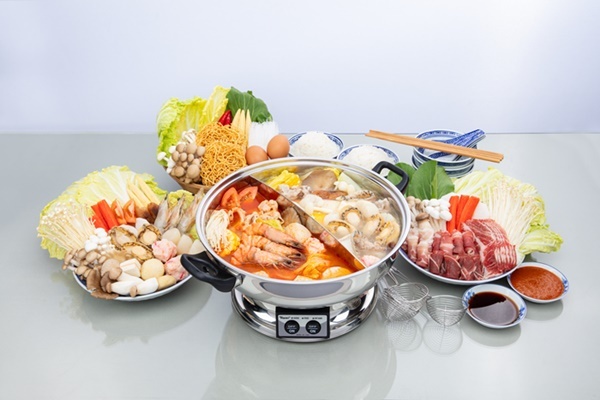 3) Premium Good Luck Steamboat Bundle (8 pax) – $168 (worth $220) – there’s something for everyone in this selection, ideal for impressing your colleagues and family during CNY parties with a variety of premium ingredients. Thanks to Giant, we get to try out the Joy Steamboat Bundle that is good for 8 people. This bundle has a good selection of premium meat, seafood, a variety of mushrooms and vegetables. 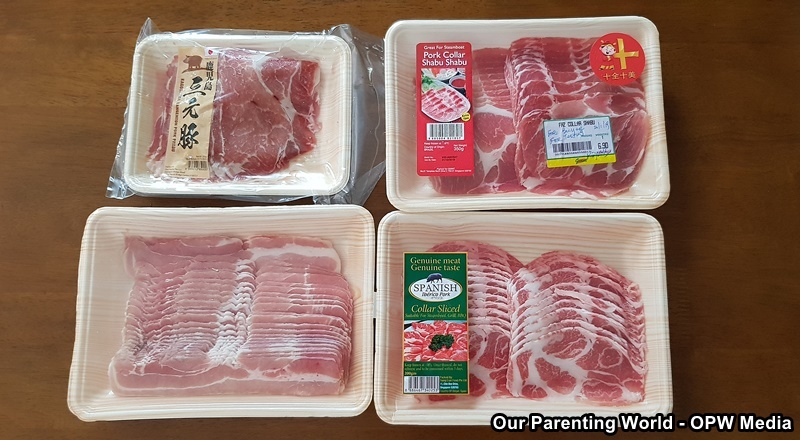 Meat lovers will enjoy a variety of thinly sliced meat consisting of pork and beef in Shabu Shabu style that is great for steamboat. 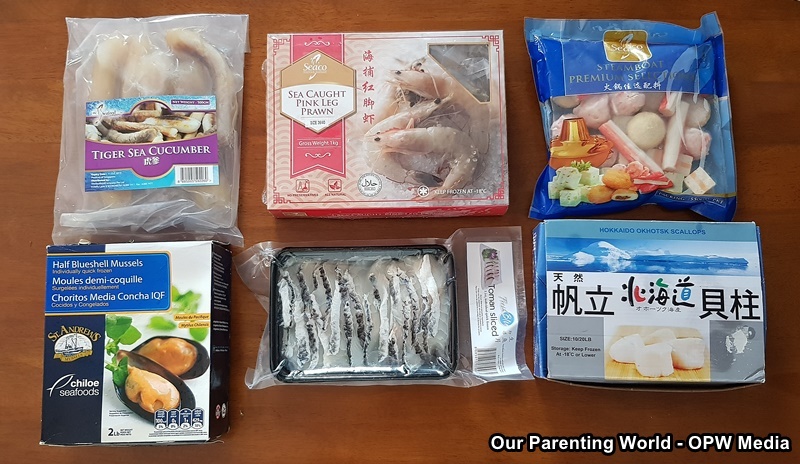 An assortment of seafood that will delight any Seafood lovers consisting of Pink Leg Prawns, Tiger Sea Cucumber, Cooked Mussels (Half Blue Shell), Toman Fillet Slices, Surimi Premium Steamboat Selections and Japanese Scallops. 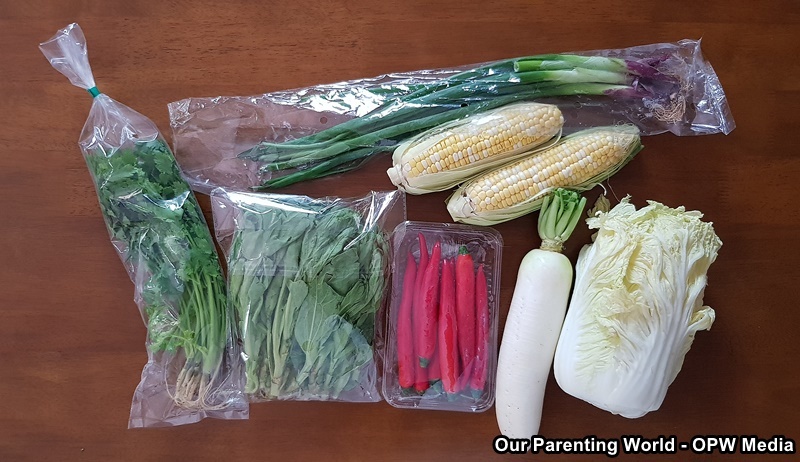 Indulging in meat and seafood, you will need the fibres to help you digest all the food, the steamboat bundle also provides White Radish, Cabbage Wong Bok China, Tang Oh Malaysia, Sweet Corn, Spring Onion, Coriander and Red Chilli. 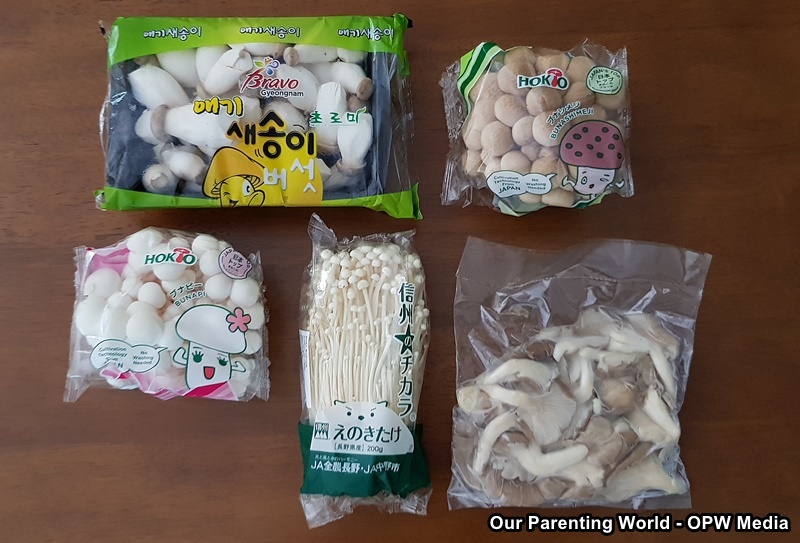 Put in the mushrooms variety in the steamboat like Enoki Mushroom Korea, White Shimeji Mushroom Hokto, Buna Shimeji Mushroom Hokto, Oyster Mushroom Malaysia and Baby King Oyster Mushroom for added texture and make the soup more flavourful and nutritious. What a sumptuous steamboat spread! We can’t wait to get started. 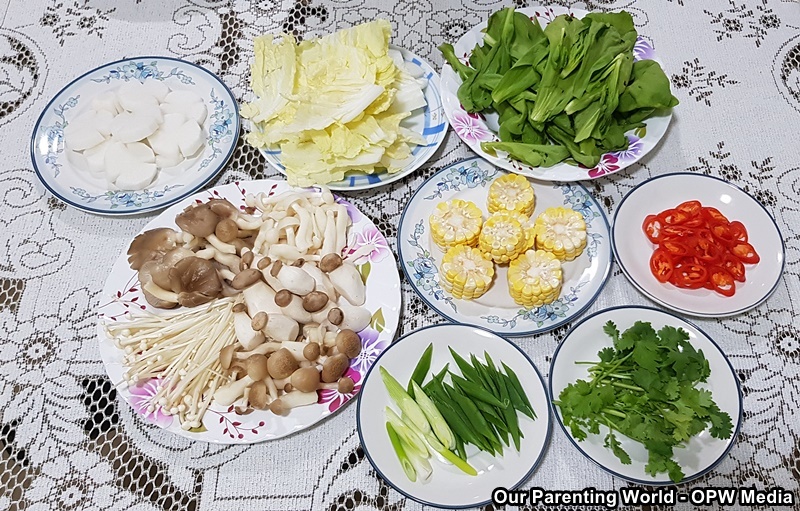 We thoroughly enjoyed this amazing steamboat bundle and what’s more, no need to get stress out preparing for all the ingredients. The quality of the meat, seafood, vegetables and mushrooms are good and fresh. This is a steamboat bundle that will delight your family members and friends and have a wonderful dining experience together during the Chinese New Year! Hurry, pre-order is up till 28 January, customers can simply click and collect their preferred steamboat bundle online or order in-store at selected Giant hypermarkets at Tampines, IMM, Suntec City Mall and Sembawang Shopping Mall. Collection is available from 1 February to 12 February. To find out more and to order your steamboat essentials at Giant today, please visit http://giant.sg/steamboat.